time to prepare our hearts for Easter. Devotionals are a great way for me to stay accountable to read from God's Word on a regular basis. I'm always looking for new and challenging devos. I stumbled upon Ann Voskamp's book One Thousand Gifts, which then led me to her blog where she posts inspirational devotionals and thoughts from her amazing perspective. 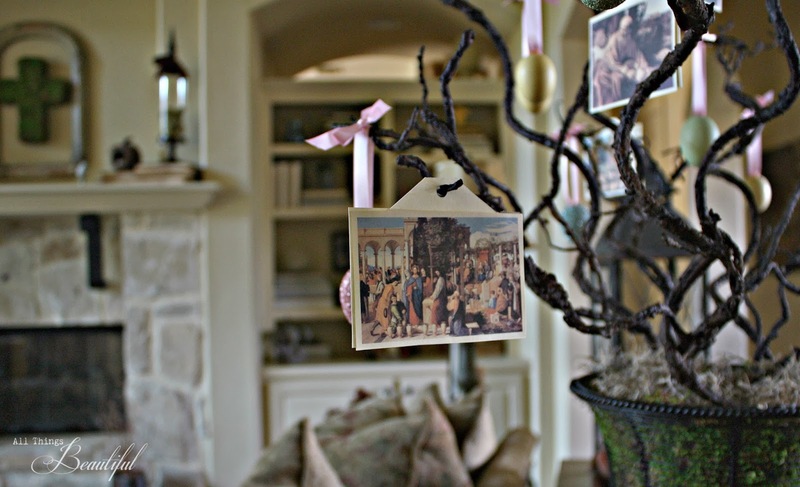 which inspired me to create my own family Easter Tree a few years ago. I updated it with some glitter eggs, and printed doubles of the artwork, so that from every angle, you would see the lovely pictures hanging from the tree. 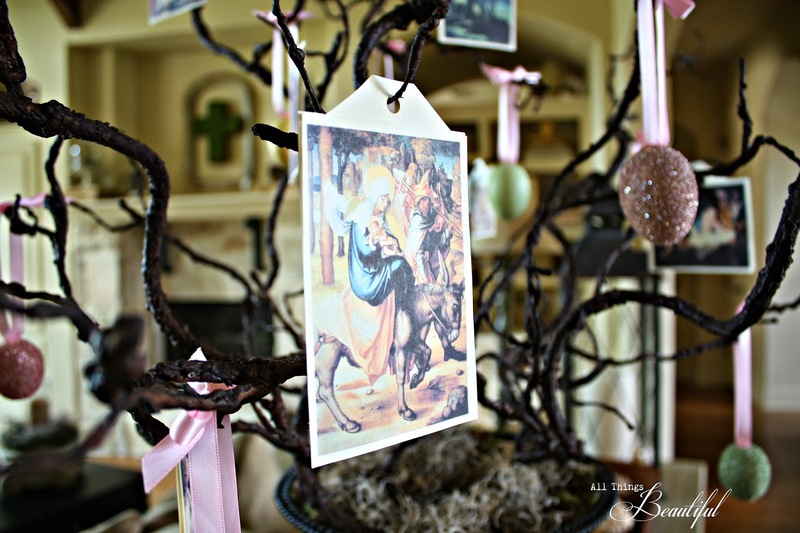 You can find A Holy Experience blog post with free devotionals for Lent as well as printable pictures for your Easter Tree. Any container can work for a base for your tree. Stuff it with styrofoam and place real or faux branches around evenly. I covered the base with Spanish Moss. small satin ribbon loops to the tops. Then made bows to add at the top of the ribbon. I decided to "glitter" 2 eggs in pink, 2 in blue, and 2 in green. Meyers Imports is my favorite source for glass glitter. I adore this! 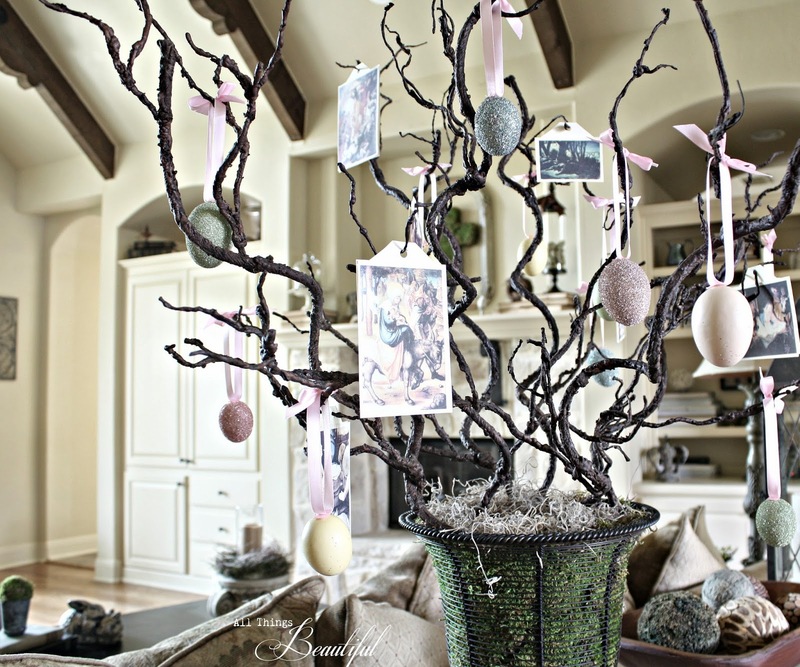 I think the pictures make it stand out from other Easter trees. So so pretty! Love the tree! 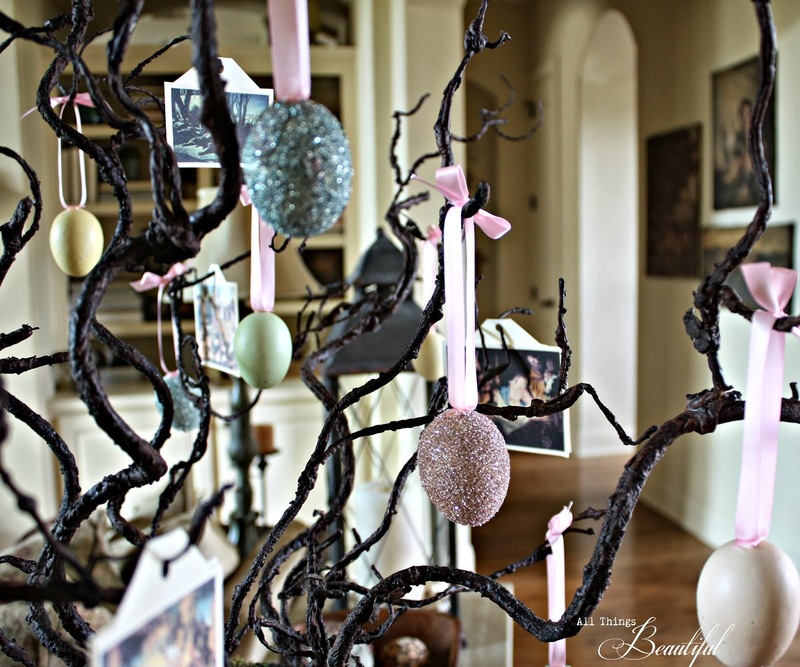 I think the pictures are wonderful as are the glittery egg ornaments ~ great idea! 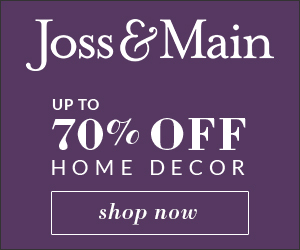 This is really special Janis! Now I have to ask a really unspiritual question. What kind of branches are those? Are they real? They are the best branches ever! 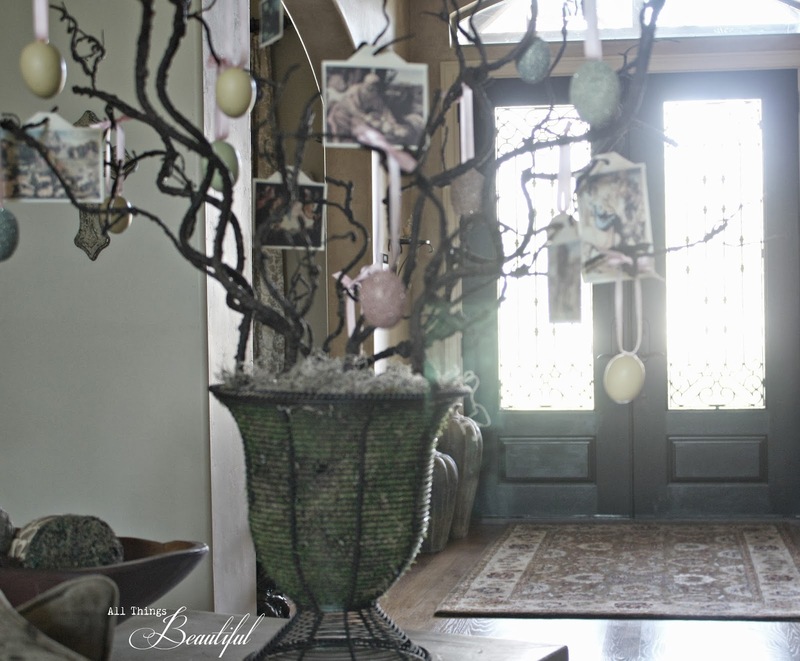 Your Easter tree is really beautiful! 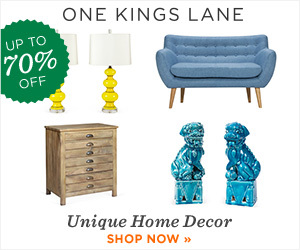 Great decoration.